Attic Systems is the largest network of air sealing and insulation contractors in the United States, offering quality attic insulation solution services. Dr. Energy Saver's mission is to help people make their homes more comfortable all year long, while also saving money on heating and cooling costs. Attic Systems is a division of Dr. Energy Saver, which was founded in 2009 to help homeowners who want to save energy and make their homes more comfortable. Attic Systems is designed to make the benefits of attic air sealing and insulation clear and easily available to homeowners. Today, the combined Attic Systems and Dr. Energy Saver networks consist over 100 companies throughout North America, each of which is trained, certified, and experienced at helping customers solve home comfort and energy problems. 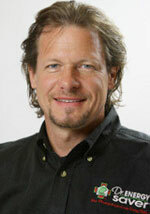 Larry Janesky is the owner and founder of Attic Systems and Dr. Energy Saver. Larry has been in the home improvement industry since he was 17, spending much of his career building the international Basement Systems network, which consists of basement waterproofing, crawl space repair, and basement finishing contractors. Larry launched Dr. Energy Saver after seeing the challenges that homeowners face in fixing home energy problems and believing he could help. Larry's goal with Attic Systems and Dr. Energy Saver has always been to provide clear, effective, and efficient solutions that focus on solving your home's comfort problems. Each Attic Systems contractor is managed by people who are passionate about helping make homes more comfortable, healthier and energy efficient. All of our Attic Systems dealers and technicians are thoroughly trained, certified, and consistently updated at our Energy City training facility in Seymour, CT. This building is a state-of-the-art technical and testing facility with about 40,000 sq. ft. of hands-on-educational displays and technology, including an entire replica training home. The facility is the first of its kind and to date the largest in the U.S.
Attic Systems & Dr. Energy Saver founder Larry Janesky talks about how our services make your home more comfortable and efficient. Together, these solutions will eliminate problems such as uncomfortable rooms, leaks and drafts, inefficient HVAC systems, and more. If you're interested in improving your home's comfort and efficiency, contact your local Attic Systems dealer today!